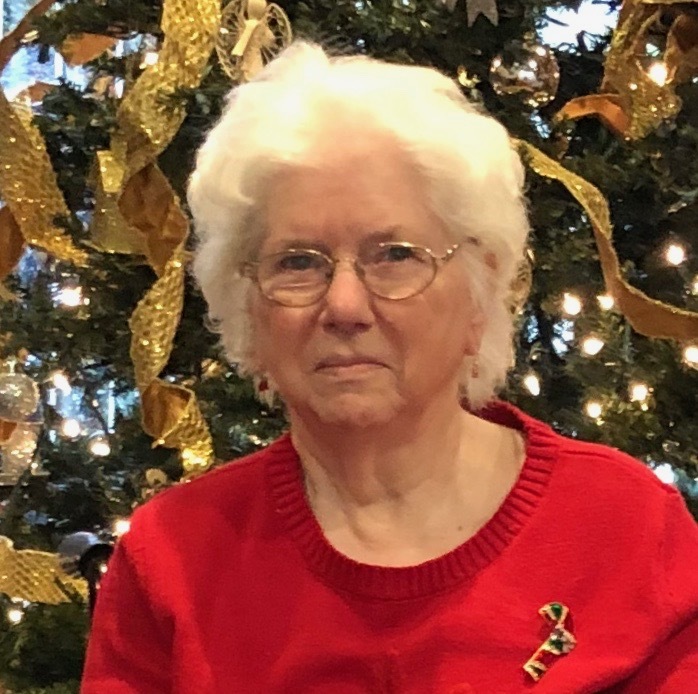 Betty June Mathers of Dallas passed away peacefully on Tuesday, March 19, 2019 at The Meadows Nursing and Rehabilitation Center in Dallas. Born in Luzerne on June 12, 1929, she was the daughter of the late James and Theresa Koszoru Bottoms. She was a 1947 graduate of Luzerne High School. She married David Warren Mathers on June 19, 1948.
confirmation students of the church. She was devoted to the Boy Scout Troop 155 of the church and served in various leadership positions. Betty June enjoyed traveling across the state with the troop to many scouting events. She even made a trip to London, England with the scouts. She was awarded the prestigious Silver Beaver Award by Boy Scouts of America and she was also awarded The Walt E. Godshall Lifetime Scouter Award by the Two Mountain District in 2016. Betty June lived in the home she and her husband built on Staub Road until 2013 when she moved to The Meadows Nursing and Rehabilitation Center. In addition to her work with the Church and the Boy Scouts, she enjoyed gardening, sewing, and traveling. She and her husband traveled in the United States and also made trips to sightsee Germany and visit family living in Germany. of The Meadows. The family is also thankful to Sandy Johnson Race, the Pastor, and the members of the Trucksville United Methodist Church for their caring visits and prayers. Betty June was preceded in death by her husband David Warren Mathers in 2001 and their son, David T. Mathers in 2016 and a brother, James Robert Bottoms and a sister, Stella Mae Bird. She is survived by a sister, Carol J. Little of Joppa, MD and a brother, David H. Bottoms of Dallas, PA, and many nieces and nephews. A Celebration of her Life will be held on March 30, 2019 at 10:00 AM at The Trucksville United Methodist Church. All are welcome. In lieu of flowers, the family invites donations to the Trucksville United Methodist Church or to Boy Scout Troop 155 of the church, 40 Knob Hill Road, Trucksville, PA 18708. Interment will be in the Church Cemetery at a future date and will be private. Arrangements are under the direction of The Richard H. Disque Funeral Home, Inc., 2940 Memorial Highway, Dallas, 18612.